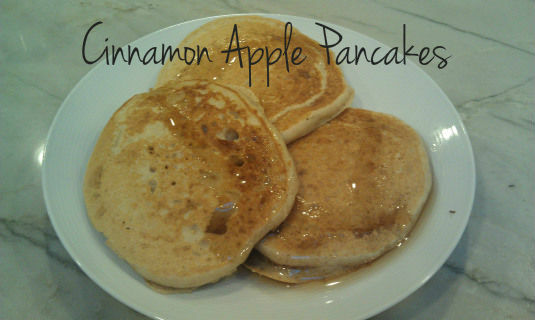 We have been all about weekend pancakes lately and are always all about apples! And seriously who doesn’t love pancakes!! These were super easy and quick to whip up. Just had the urge and then 20 minutes later we were all eating pancakes. Spoon batter (~ 2 tablespoons) onto a hot griddle. 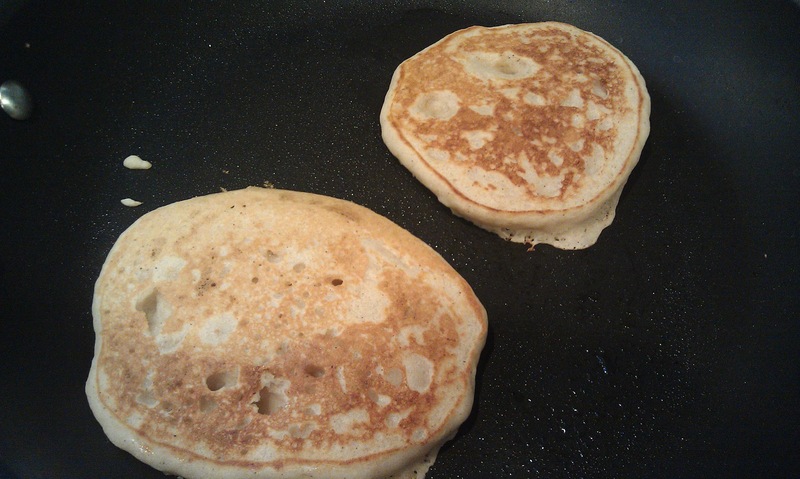 Cook until pancakes have a bubbly surface and slightly dry edges (1-2 minutes). Flip pancakes and let cook for an additional 1-2 minutes until golden.